Hello lovely readers I hope you are all enjoying your week so far, the weather here in the UK is actually fairly hot, which is a miracle. Which means I’ve been rocking my dungarees a lot lately they are just so comfortable and easy to wear. So today I’m going to share with you 4 ways to style a pair of dungarees for anything you might be doing over the summer. Dungarees are a perfect way to cover yourself up after you’ve been in the sea if you want to stay a little bit warmer. Pair with some sandals and awesome cateye sunglasses for a fun day of sand and sea. Dungarees are great for shopping as they are really comfortable to walk in and easy to take off (so perfect when you are trying things on). Wear with breathable but sturdy shoes so you can walk around for hours. 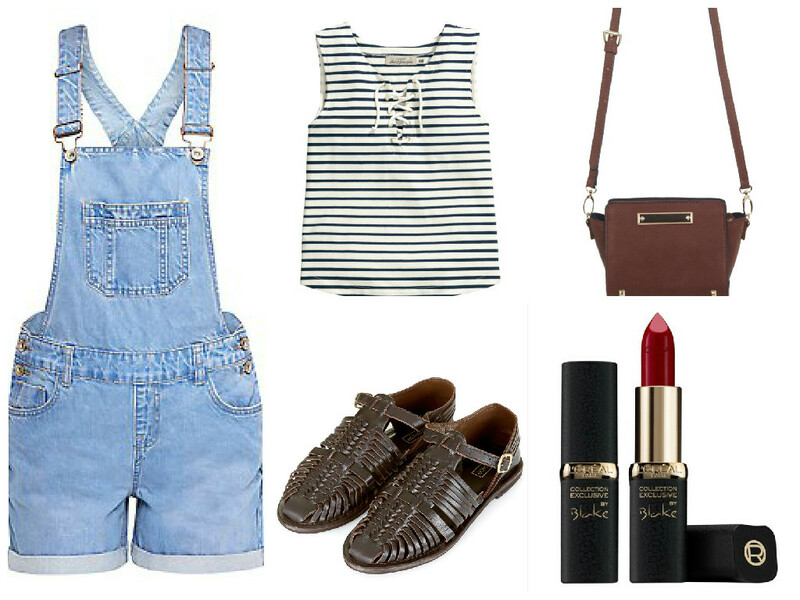 Dungarees always look cute with strips and add a bit of colour with your lipstick. Dungarees may not be the thing you would automatically think of when planning an outfit for a night out they may even be the last thing you think of. But if you are going for more relaxed drinks with friends dungarees are a great option. 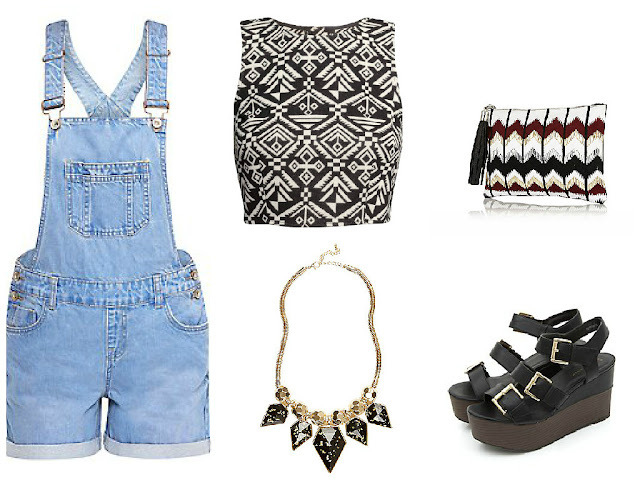 Add a crop to give your dungarees a sexier feel. Going to the zoo is one of my favourite things to do during the summer and dungaroos are always the perfect choice as you’ll keep both cool and covered up at the same time. Try throwing an oversized shirt over the top for a relaxed comfortable look. Tip: Dungarees look great with one strap undone so if you want to show off more of your outfit give it a go. 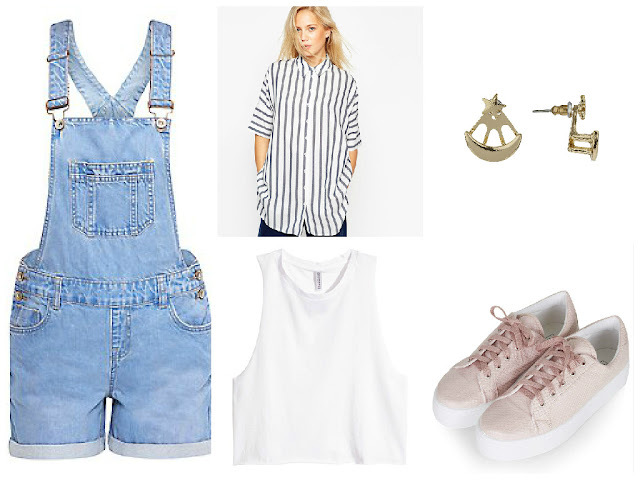 I hope you enjoyed this post, how do you style your dungarees? Lovely post Ella! I'm rocking my dungarees as we speak! I’m looking forward to reading your summer bucket list! Let me know when you’ve done it so I can check it out! I'm so glad you enjoyed it :) thank you so much I'll do this tag on Wednesday, it looks like a lot of fun! Yeah I love them they are just so easy to wear. Aw thank you so much Kim I'm glad you liked the post, hope you are well my lovely friend! I love the third outfit, the top, the bag and the shoes are awesome!